Aline and Don invite guest Scot Dryer onto today’s morning show. End time prophecies are discussed along with some talk about the anti-christ. What are we expecting to see here? 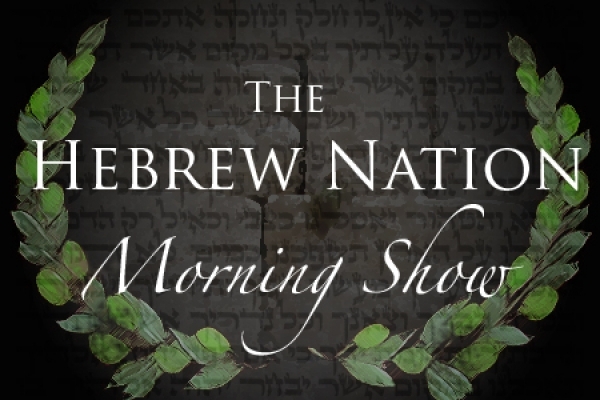 Hebrew Nation Morning Show – Who is Phil Elmore?? Embedded player isn’t working, and the linked MP3 is a 0-byte file. Help! 🙁 There is no audio…. Would love to hear this one. Please get it fixed! Waiting to hear what Scot Dryer is up to these days! Please fix! I heard it fine, thanks. You must have fixed it by now. Just curious if anyone has an opinion about a couple of Bible verses regarding Syria and also the deadly wound of the end time antichrist. Scot Dryer said he felt it was the president of Syria, Assad, who could possibly be the Anti-Christ. If he’s right, do you think the demise of Damascus and the beast who’s deadly wound is healed are related in some way? Any thoughts? The verses are below. Isa 17:3 The fortress also shall cease from Ephraim, and the kingdom from Damascus, and the remnant of Syria: they shall be as the glory of the children of Israel, saith the LORD of hosts.